Decorating for fall? That means all the pumpkin decor! I have a few farmhouse style options that you can make for your home. Get crafty and do your autumn decor on a budget with a few of these DIY ideas. Add one or more to your fall decor in any room of your home. From mantels to the front porch, we have an idea that will work in your home! Just click on each of the links below and the instructions to create each project will open in another tab on your computer. Be sure to pin or bookmark the ones that you want to make so you can come back later. Y’all enjoy and happy crafting! Don’t you just love all things farmhouse? I think Joanna would be proud of the options that I have chosen. Plus most of these pumpkin decor ideas are super easy to make. That is just the icing on the cake. So, tell me, did you find one or two that you are going to make this fall? Leave me a comment or even share a picture of your creation on Facebook. We would love to see it! Maybe you want all the rustic pumpkin decor but you don’t want to have to make it. Well we have options for you as well! You can find some pretty options on Amazon fairly inexpensively. I have embedded a widget below with a few of those. Remember, however, if you click the links below a portion of your purchase will go to support this site. You will not pay anymore so feel free to click, shop, and buy if you like anything! 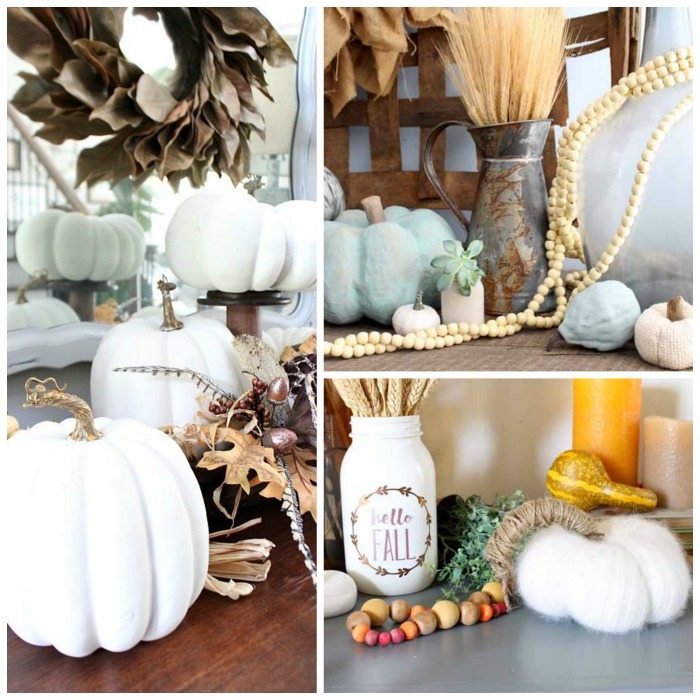 Y’all enjoy this pumpkin decor….whether you make it or buy it! Wonderful ideas! 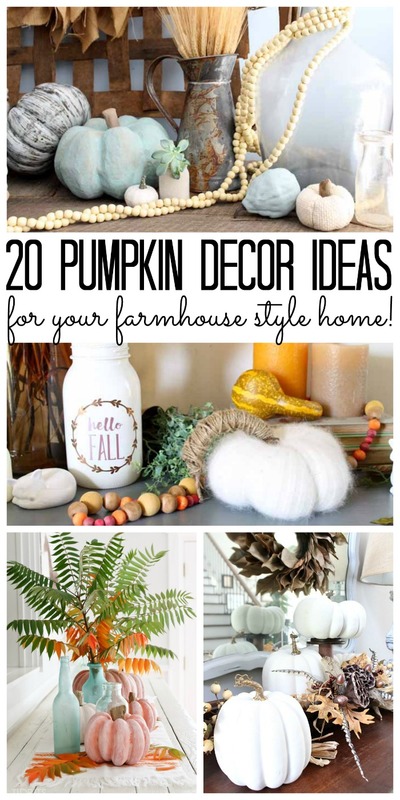 I like decorating with textile pumpkins – it looks really cute and beautiful.